Adam Hays shares his secrets on hunting the "Red Moon"
If deer season opened up next week, how prepared are you right now? I know, it’s only the first week in July and the opener is 3 months away, but how ready are you? 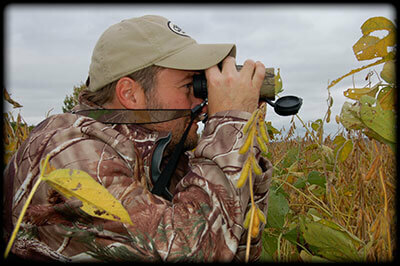 Have you found a buck you are interested in harvesting yet? Do you know where you have the best chance of getting a shot at him once season begins? This is a great time to take inventory and evaluate how ready you are for season, while there’s still time to do something about it! I’m a HUGE believer in the fact that “it’s the little things we do right now to prepare ourselves, that will make the BIGGEST differences later in the year when it will be too late! 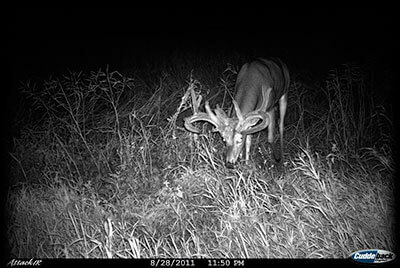 When is the best time to see a Monster buck this time of the year? 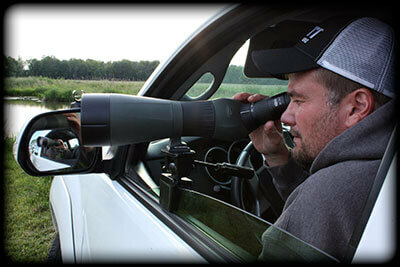 I’m sure if you are reading this column, you’ve probably been running trail cameras in your hunting area and cruising the roads glassing the bean fields, trying to catch a glimpse of a giant in velvet. I’ll bet some of you have even purchased your moon guides, and you have those special evenings for seeing the big boys highlighted on your calendars! I know I’ve been out on those red evenings and caught a glimpse of some big bone already. The deer in my area are showing some good growth with most racks over half way developed and a few looking like they are almost done. Like I’ve said before though, the only definite when it comes to chasing mature whitetails is “nothing is ever definite” and as much as I believe in the moon guide, there may be some better nights to catch a big buck out in the open, and it has nothing to do with the moon – it has to do with salad dressing! If I had to name just one thing that has increased my success on seeing monster bucks during the daylight hours, whether it’s in season or during summer scouting, it would have to be paying attention to the MOON! I know there are many different opinions about the moon and what impact it has on whitetail deer, and some of you may or may not believe in it depending on your own experiences, but I’m here to tell you it is vitally important to my success! What I’m going to share with you comes from my own personal experiences after following this tactic for the past 16 years, and from 30 years of trial and error and in the field experience from my good friend and the late Jeff Murray. 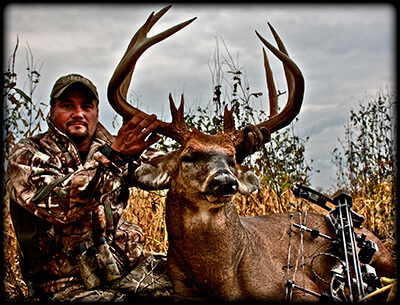 Although it can be extremely hot and humid during the summer months here in the mid west, the dedicated hunter can accumulate some valuable information from June through September to help him score on a monster whitetail! Last week, I started on the subject of summer scouting and the best locations I’ve found for keeping an eye on local bachelor groups, this week we’ll take a look at the very low impact, two step approach I use to monitor these deer. 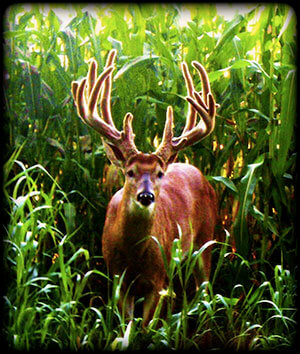 During the summer months, hot temperatures and high humidity are great reasons to stay inside, but the big bucks are still out there and are usually more visible now than during any other time of the year! 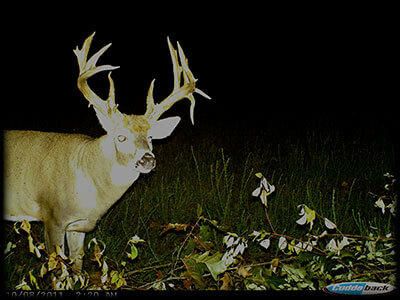 This is also a great time to figure out a game plan for a giant buck you are already hunting or to locate a new monster in your favorite hunting area. It can be downright miserable, sweating in the summer heat and swatting mosquitos, but the determined hunter can accumulate some very valuable information scouting when most hunters are back home in the A/C! For the past 20 years, I’ve spent countless hours scouting from June through August, and it has paid big dividends for me. I’ve learned some tactics for this time of the season that can help you if your willing to put forth the extra effort and for the next few weeks I will discuss these along with summer deer patterns and how to make the most of your scouting. When it comes to hunting “Monster Bucks” one thing is for certain, a successful hunter will go the extra mile to learn everything possible about his quarry. One of the tactics I have used to help me score on big bucks consistently over the years, involves establishing mineral sites and monitoring them with trail cameras. 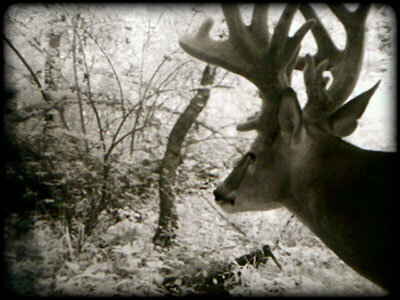 Not only does this allow me to watch his antlers develop, but I also gain valuable clues to his travel patterns. Another benefit to this strategy is helping to optimize a bucks potential growth by making the correct nutrition available to him. You may be asking yourself when is the best time to put this plan into action, and I say right now! 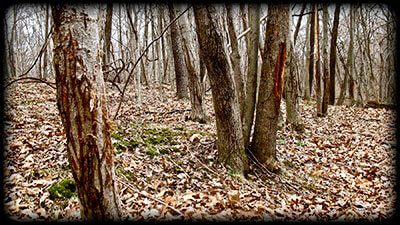 For the majority of his life, a mature whitetail buck lives simply to survive. Since the day he was born, he’s taught the most basic survival instincts from his mother, but over the years he develops his keen senses, honing them constantly as they become the weapons that guard his very life. As the seasons come and go, he transforms into a different animal than the rest of the herd, cautious and mysterious, making fewer and fewer mistakes… His life becomes one of secretiveness and seclusion. A stealthy old buck picks the safest routes, using the thickest cover, the contours of the land, and the cloak of darkness to conceal his movements. He becomes a master at the game, the game of survival. This elusive creature has a weakness though, and it lies within his travel patterns. It’s when a buck moves that he is the most vulnerable.